The flag of the Democratic People’s Republic of Korea, also known as the Ramhongsaek Konghwagukgi (literally “red-colored flag of the republic”), consists of a central red panel, bordered both above and below by a narrow white stripe and a broad blue stripe. The central red panel bears a five-pointed red star within a white circle near the hoist. 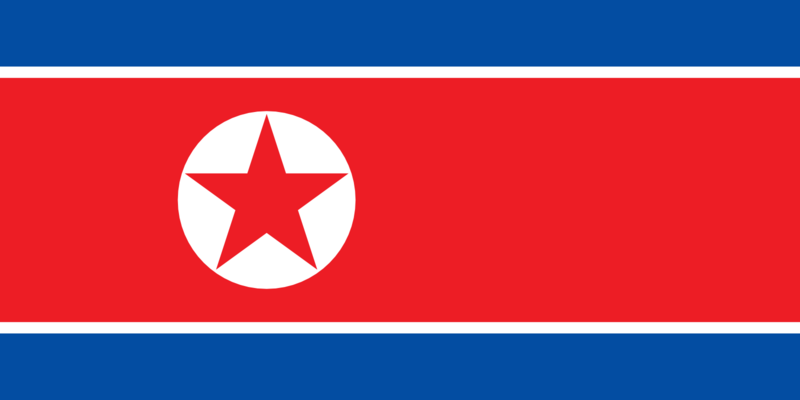 The North Korea flag was officially adopted on September 9, 1948. The two blue stripes signify sovereignty, peace and friendship. the white stripes signify purity, red represents the Communist revolution and the red star is the recognized symbol of Communism.